« Flooring For Office Building: Whats On Your Floor? 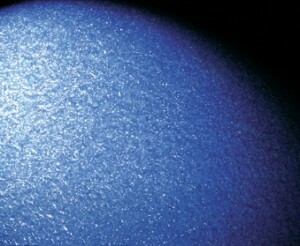 There are, of course, a tremendous amount of concrete coatings for pool decks available out there. In fact, chances are that if you are searching for such a concrete coating for your pool deck that you are completely bewildered by the myriad of choices available. In fact you may already have an aging concrete pool deck now, and thus you may be searching for a way to somehow brighten that dreary old ashen look that currently surrounds your bright blue pool. Thus, it may well be that a concrete overlay is going to be your answer, for such an overlay will add a very colorful, fully textured and slip resistant surface to your pool deck, finally making it as attractive and safe as possible. Not only will the aesthetics of your pool deck completely change for the better, but if you opt for concrete coatings for pool decks from Silikal, you will find that you will also be getting a pool deck that will repel any damage from abrasion, freeze-thaw conditions, UV exposure, pool chemicals, and even salt should your pool also be located where salt punishes your pool deck. In addition to beautifying your pool deck, concrete coating for pool decks from Silikal will render that pool deck completely slip resistant, perhaps the most important factor of all. 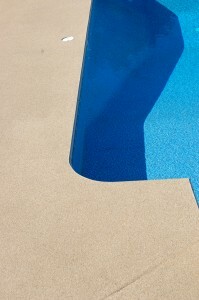 No more will you need to worry about someone slipping and falling due to the wetness of your pool deck. Thus, now that we’ve covered the amazing beauty of your pool decking, as well as the slip resistance of it, you also need to consider that Silikal is totally non porous making care and maintenance a breeze, as it is very low maintenance, and of course will “>resist mildew and other stains. Speaking of breeze, you will also find that any Silikal concrete coatings for pool decks also makes all surfaces, such as concrete, much cooler to the touch of bare feet, something your guests will find quite enjoyable. Any of the Silikal products for pool decks are offered in a wide-ranging assortment of colors as well as patterns in order to suit the most discriminating of tastes. The use of decorative concrete now creates an outdoor environment that cannot be matched. Descriptions of some of these pool decks are covered by such adjectives as attractive, exceptional, lavish, and exotic and even yes, romantic. And to think that all of that is due to nothing more than Silikal concrete coatings!